MOVE IT is the UK’s biggest event for dance and the performing arts, running this year from 18-20 March in the UK’s capital. Usually attended by around 22,000 dancers, this year it is running over three days at the venue of ExCeL. The event is packed with live performances, classes in a number of different dance genres, career advice for the dance and musical theatre industry, celebrity appearances and shopping opportunities to delight even the youngest dancer of the family. Attracting everyone from dance enthusiasts to teachers and professional level dancers, and championing dance styles as wide-ranging as ballet, Bollywood and street dance, no matter your level or passion there will be something for you at this huge celebration of all things dance. As well as a chance for potential vocational students to research their future training opportunities, MOVE IT is also a place to indulge in the world of dance and soak up the exciting atmosphere of demonstrations, performances and masterclasses. Shopping all things dance is yet another element of the show, in addition to the awe-inspiring performances on the Main Stage. All your dance needs will be met with all levels and styles of dance classes, performing arts workshops for acting and vocal skills and the chance to discover new dance career opportunities in the MOVE IT PRO series. If MOVE IT sounds like something you’d like to attend, or even if you’re an experienced visitor, CLICK HERE TO VISIT OUR FACEBOOK PAGE before Midnight on the 2nd March and answer a simple question to be in with the chance of winning a pair of entry tickets to the show – we have 16 pairs of tickets to give away! The tickets will be posted out to the lucky winners (selected at random) ahead of the event taking place from 18-20 March. UK Residents only, must be 16 years or over to enter. Full terms and conditions. The most important dance event in Italy reached a milestone last year, celebrating its 10th anniversary. Danzainfiera is an annual international trade show dedicated to dance, hosted in the romantic heart of Florence, and has attracted over 1 million visitors in its lifetime: the success of the event speaks for itself. With dance students, teachers, companies and professionals attending from across the globe, it is the perfect platform for maximum exposition and networking within all areas of the dance sector. Last year’s event was celebrated with true Italian flourish and style, and was certainly one to remember. For starters it opened with the fantastic Italian-born ballerina, Alessandra Ferri, representing her home country. As always, there was an abundance of entertainment to enjoy. For those wanting to get involved there were exciting competitions, fitness classes and dance workshops. Catering to the avid observers were lively parades and performances from amateurs and professionals alike. There was also a strong male presence, with huge talents from the professional dance world including Federico Bonelli, principal dancer in the Royal Ballet, and Nikolay Tsiskaridse, dancer in the Russian Ballet and newly appointed director of the Vaganova Academy in St. Petersburg. Representing the celebrity realm, the popular and charismatic Rafael Amargo, judge of Dancing with the Stars, hosted flamenco lessons for visitors to partake in. We were thrilled to be able to attend last year’s event, and it was a pleasure to meet and interact with so many of the dancers who inspire us. With Danzainfiera 2016 only a few weeks away, the excitement is building at Dance Direct headquarters as we prepare for another year. There’s plenty to look forward to for the upcoming event; big names from the dance world include ballet master Liez Chang, the beautiful Elena D’Amario of the Parsons Dance Company, and YouTube ‘dancer on high heels’ sensation, Yanis Marshall. Representing street dance, locking and popping legend Suga Pop, and Mamson from hip-hop crew The Wanted Posse will be raising the roof with their masterclasses. Other exciting workshops include tap dance with Ruben Sanchez, and special sessions in ballet with renowned dancer and artistic director of The Royal Ballet School, Christopher Powney. Many young performers will be dancing their hearts out for the renowned ‘Expression’ competition – a unique opportunity to showcase up-and-coming talent, with amazing prizes and scholarships awarded. There will be a unique range of dance and fitness classes to get involved in, ranging from sensual Burlesque workshops, to Reggaeton fitness, to Hip-Hop and fusion dance styles. Parades and performances are sure to elevate the atmosphere, and the prestigious fashion show will be a feast for the eyes, flaunting the height of style from world famous dance brands. If we had to say what we’re most looking forward to about Danzainfiera 2016, we’d be spoilt for choice – there’s such a fantastic line-up for this four day extravaganza! What makes this event so much fun to be at is the energy that the people there bring – there’s a real buzz and it’s magical to witness so many people coming together, united in their passion for dance; to inspire, and to be inspired by what they love. This year’s event is sure to build on the huge success of last year, for another phenomenal event bursting with excitement for visitors and exhibitors alike. If you’re lucky enough to be near Florence between 25th and 28th February, then come and visit us at Fortezza da Basso – Firenze, we’ll be at stand A4. We hope to see some familiar faces from last year, as well as meeting many new ones too! 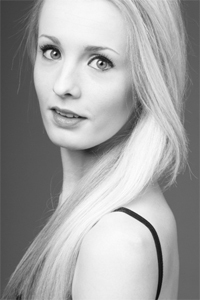 Student Ballet Dancer Of The Year 2014 Winner Announced! A few months ago, we started a competition with the hope of crowning a young dancer here in the UK, Dance Direct’s Student Ballet Dancer of the Year. To enter, any interested parties had to submit a video of themselves showcasing their dancing skills, to be judged by Dance Direct blog writer, Jessica Wilson. The winner would collect £250 worth of Dance Direct vouchers to spend on dance gear and an article dedicated to them on our blog. After the deadline closed on the 30th June, we have reviewed all the entries we received, and we are delighted to announce that the winner is Amelia O’Hara! Her entry video was very impressive and we were very keen to know a little more about her. To get an insight into how she started dancing, we fired over a few questions. I started dancing at the age of 6 at my local dance school in Wigan, England (Miss Sutcliffe’s Academy of Dance). At first it was just a Saturday morning hobby, but it soon took over every day of the week as I enjoyed it so much. Initially I studied all genres of dance; however it was clear from the beginning that ballet was my favourite. I knew that ballet was what I wanted to do. Both my dance teacher and family understood my desire to become a professional dancer and nurtured me for many years before I went on to train at The Royal Ballet School and then Tring Park School for the Performing Arts. What gave you the passion to follow a dance career? Looking back, it was whilst performing at The Royal Opera House in The Nutcracker aged 12, that I realised I wanted to be part of a ballet company. I adored the whole rehearsal process and working alongside likeminded people. I felt, and still feel there is nothing more rewarding than many hours of hard work coming together and performing it to a live audience. What has been the highlight of your dance studies so far? I have had a number of highlights throughout my training such as working with The Royal Ballet Company and Northern Ballet Theatre. Also I have loved the experience of going to Sweden to performing at various Dance Galas. 2014 has held most of my highlights. 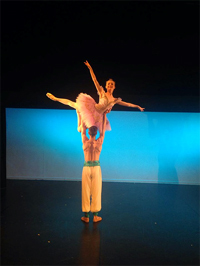 Firstly I was chosen to perform the Le Corsaire Pas De Deux in Tring Parks Graduate Touring Company, Encore. This tour ended with a final performance at Sadler’s Wells Lilian Baylis Theatre. I can honestly say that this was the most exciting experience of my life so far! Secondly, being chosen as the winner of this competition! When I entered I didn’t even think that I would have ever been picked out as the winner, so I am still very surprised and extremely grateful. Finally was being offered a contract with a company that I have watched and admired for many years, Scottish ballet. I am very excited to start working with them at the end of August. Who has been your inspiration in following a dance career? My biggest inspiration is my ballet teacher Eve Pettinger MBE. She was a former professional dancer with London Festival Ballet (now known as English National Ballet) and was a colleague of Dame Alicia Markova. 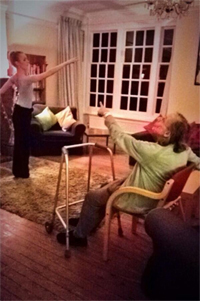 She has worked at Tring Park for over 55 years and began teaching me when I was 14 years old. She is devoted to ballet and her passion, knowledge and attention to detail is extremely unique. She has always been there to help and support me with my training in any way possible, even whilst coping with injury and ill health. I am so grateful for everything she has done for me over the years and I hope to make her proud in the future. I have never met a stronger more determined woman. She is not only my inspiration for my career, she is my inspiration in life. You’re in the final year of your professional training, what’s your next step? I have just graduated from Tring Park School for the Performing Arts and I am very excited to start a contract with Scottish Ballet. What is your main career goal? I would love to learn and perform Balanchine works such as Jewels and Serenade. But ultimately my main career goal is to dance for as long possible and to inspire as many people as I can. What advice would you give to young dancers? The advice I would give to a young dancer is to enjoy what you do and to be self-motivated and determined. You need to remember that your teachers are there to guide you but ultimately it is your job to put in the hard work. One of the most important things is to be organised and prepared, as it is not only about what you do inside the studio that counts, it is the work you put in before and after class. A little tip to help you improve is to write down your corrections after class and look at them before your next class. Also remember that communication is very important, make sure that if you don’t understand a correction or want some extra help then ask your teacher. I am sure they will be more than happy to support you as this is what they are there for. It is crucial that you are realistic but also believe in your abilities, as dance is very tough industry where you will have to face some rejections. I have learned that when things don’t seem to be going your way, pick yourself up and push yourself further to prove what you can do. One of my favourite quotes is ‘Hard work beats talent, when talent doesn’t work hard’. Most importantly have no regrets, love what you do and remember to enjoy the journey! A recent survey has revealed that 63% of UK residents consider a degree in Dance and the Performing Arts to be equally as valuable as any other theoretical subject, with a further 56% of parents stating they would take pride in their children pursuing a career in The Arts. As university fees rose dramatically from an average of £3,225 per year to £8,400, with some universities charging the maximum of £9,000 per annum, along with the recent news that the government loses 45p for every £1 loaned to students, the actual value of higher education has been pulled into the general public’s spotlight. 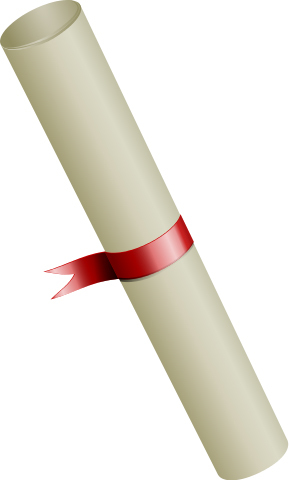 For many, the opinion may be that degrees should be studied in order to secure the best possible career following graduation, which, for some, may lower the opinion of the value of performing arts and dance, along with languages and other studies of the arts. However, a recent survey conducted by One Poll on the behalf of Dance Direct, has shown that this opinion is not overwhelmingly negative. Along with the result that 63% of the British public believe that a degree in dance is as commercially valuable as any other theoretical degree, it has also shown that more than a quarter of the 1,000 participants polled believe that pursuing a career in the subject is “sensible”. While the results might not show that the British public see a degree in dance as a guaranteed investment for a career path, it is vital that the study of a degree of any kind is not seen purely as an investment for employment. Underemployment is a significant issue for many graduates, as a study conducted in November 2013 found that almost half of graduates were working non-degree related jobs. While the figures may prove to be depressing for many, they should not necessarily be considered a death toll for those looking to study dance at a high educational level, as the proof shows that the value of the vast majority of degrees has been brought into focus. In a response to the survey, Paul Franklin, Head of Marketing at Dance Direct, stated: “For the dance industry to continue, we need budding performers not to lose sight of the extremely rewarding career path that dance can bring”. A career in dance must be realistically viewed as difficult, with strict competition between those hoping to work in the industry. However, as studies show, there is competition in every role, no matter what the industry is. Ultimately, passion should be considered as the main indicator of the value of a degree in the performing arts. As a recent study published in The Telegraph shows, 19 out of 20 graduates have changed their career before turning 24, with “creative skills” cited as one of the most valuable assets a potential employee can have. The noted value of creativity and passion for any role is universally acclaimed, as those students who have perhaps conducted a career which they do not ultimately care for, do not have the motivation to continue in the career. As an industry, performing arts has always been considered somewhat cut-throat, but through the commitment shown by studying a degree, along with talent and passion, will undoubtedly give young dancers the boost that they deserve into a career. For over a decade, Dance Direct has striven to provide the best value in dancewear, so dancers can focus more on their training and less on their kit. Although a lot has changed during this time, our ultimate goal of making affordable, high quality dancewear widely available remains at the heart of the Dance Direct brand. Like you, we are passionate about dance, and we are also inspired by customers such as yourselves everyday. Your feedback drives much of what happens within Dance Direct HQ and has been integral to the launch of our new branding. With a fresh new look and a new, easy-to-use website soon to be launched, we hope that our continuous desire to remain your No.1 dancewear supplier is clear to see. Our collection continues to offer both amateur and professional dancers great quality and affordable dancewear, perfectly designed for both basic and performance needs. We look forward to sharing your dance stories, photos and more via the Dance Direct community and hope to hear from you soon! Are You Dance Direct’s Student Ballet Dancer Of The Year? As dance forms go, ballet is among the hardest to perfect. It requires coordination, care and balance. Dancers work for years to perfect these qualities, and of course become students to enhance their form and knowledge. 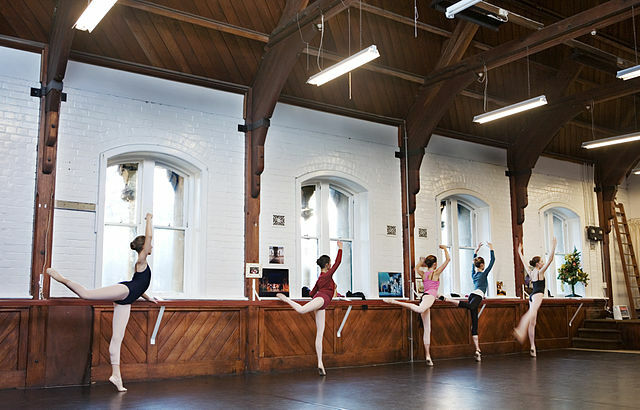 Those who wish to make a career from ballet might study at university or a specialist dance school or college. At Dance Direct we understand how challenging it can be for people embarking on their dream to become a professional ballet dancer and so we are looking to help someone on their way. We’ve started a nationwide competition to find Dance Direct’s Student Ballet Dancer of the Year! The competition allows student dancers from universities and colleges throughout the UK to show off their ballet skills in a video submitted to us. The competition will be judged by Dance Direct’s blog writer – Jessica Wilson. The lucky winner will receive a prize of £250 worth of Dance Direct vouchers, to enable him or her to stock up on essential (or non-essential) dancewear items and a featured article about them on the Dance Direct blog! With a published on-site biography, you will inspire your fellow student dancers, and be an inspiration for younger dancers looking to start their career. As the prize-winner, this competition will give you the equipment, exposure and the exclusive title of Dance Direct’s Student Ballet Dancer of the Year, to give you a boost to take your career in dance to the next level – as well as giving your college/university the recognition of housing the best ballet dancer in the country! Include your name, age, the name of the college/university where you’re studying, and the name of your dance course. Video submissions can be made by either WeTransfer for a normal file or, if applicable, a link to your video on YouTube. Your video can be either: an entry made purely for this competition, or a previous audition tape or dance show performance that you’re particularly proud of! The competition deadline will be at midday on the 30th June. The competition is only open to UK residents only. Entrants must be registered on a certified dance course at a college or university at the time of entering. No monetary value can be given in exchange for prizes. The winner will need to be available for a telephone interview after the competition has closed. The judge’s decision is final. Any queries about this competition should be directed to the competitions@dancedirect.com email address. Nowadays, music isn’t all about the sound – it’s about the dance too. And some of the best music videos have got some real moves on display. We conducted a survey to find out which are the music videos that most put you in the mood for dancing, and showcase some of the best movers in the industry. So get yourself over to YouTube right now and check out these incredible music videos. You couldn’t have a list about dance music videos without mentioning the King of Pop at least once, so here’s MJ kicking off our survey results right away. A running theme of Michael Jackson’s videos was that feeling of watching a short film in its own right – and Billie Jean is no different. Lit paving stones, randomly appearing cats, a mysterious detective; what’s going on in this video is anyone’s guess. But Michael pulls off some of his most famous moves in this iconic video, and is well worth watching again and again. Whether you’re a fan of Tim Curry in fishnets or not, there’s no denying that it’s a catchy dance. While it’s not the most complex of dances on this list, it’s one that can be picked up so quickly that it’s often performed by revellers on nights out! Big tune, big glasses and absolutely huge cargo pants – what’s not to love about this iconic music video? As arguably MC Hammer’s signature song, U Can’t Touch This became one of the most popular singles ever made. That energetic dance is exhausting just to watch – and it really takes a talented dancer to have a go at some of Hammer’s moves, such as ‘The Running Man’ and the ‘Hammer Dance’. Not really a music video as such, but Baauer’s Harlem Shake didn’t need to spend thousands on production of a vid – thousands of Youtube users sorted that out instead. In early 2013, a fad of performing The Harlem Shake took hold, resulted in a wealth of videos of performers ‘dancing’ in the loosest sense of the word. There’s no denying it though – even if the dancers aren’t always up to scratch, they’re pretty amusing. Released in 1990, Madonna was at the pinnacle of her career when Vogue hit the charts. The video itself was produced after hundreds of dancers appeared at a casting call in Los Angeles, and is filmed in homage to the Golden Age of Hollywood. That angular, smooth dance is now coined as ‘Vouging’, and requires a great deal of concentration to pull off properly! The look, the outfits, the hair, the film style and the dance – everything about Single Ladies is iconic. Coming in at number five on our list, this great chart-topper showcases some of the best dancing ever on a music video. One of the most well-known one hit wonders ever the chart, Macarena was an international hit after its release in 1995 and continues to be one of the most iconic tracks of the 90s. Los del Rio were a lounge act who composed the song chorus ad hoc, and the remix which would become so popular included English lyrics sung by Carla Vanessa. And the dance – supposedly, it was devised by a local flamenco teacher! As part of an 18-minute film written by Richard Price and directed by Martin Scorsese in 1987, Bad is one of Jackson’s most memorable dance offerings – not least because of that signature crotch grab. Many of the parts of the film actually make reference or homage to West Side Story. Easily one of the most iconic music videos of the 80s, everything about Thriller is quintessential Jackson, and it’s no wonder it got such a high place on this list. This video has got everything – zombies, werewolves, red leather jackets, memorable dance moves, shuffling – this is quintessential Jackson. One of the biggest pop hits of 2012 – if not the biggest – Psy’s Gangnam Style broke all sorts of records. In fact, it would become YouTube’s most watching video, even more than Justin Bieber’s Baby. Our survey saw this vid come out on top. Quirky, strange, and with an easy to learn dance, we’re not surprised it ranked so high. What do you think? Who doesn’t love a dance film? For uplifting moves and some real great tunes, you can always rely on a good dance film to perk you up. It’s no surprise that many dancers get their first interest in the world of movement from seeing an actor bust a move on the big screen. Everyone’s got a film that made them fall in love with dance. To find out which dance film we are most in love with, we conducted a survey amongst dance film fans – and the results weren’t all that surprising! Read on to find out which dance films have the best dance scenes, and sit back and watch our favourite big screen heroes strut their stuff! In at number ten is American musical classic Fame. With music by Michael Gore and choreography by MTV dance instructor Louis Falco, it’s no wonder this film has also been ranked in Entertainment Weekly’s top 50 Best High School Movies. Showcasing one of heartthrob Channing Tatum’s breakthrough roles, Step Up follows the story of two very different dancers in two very different social classes, and who must rely on each other to cement their professional futures. Say what you like about John Travolta – the man has got some moves. In at number 8 on our list was his solo dance scene in Saturday Night Fever, in which he takes to a gloriously fabulous lighted stage in an equally fabulous pair of flares and dances the club to a standstill. You can’t get more iconic than that opening scene – two rival gangs who ‘fight’ by pulling off some slick dance moves in front of each other. For style, grace and stone cold coolness, West Side Story is the quintessential retro dance film. It’s not great in the world of musical-drama Footloose – upbeat Chicago teen Ren has moved to a small town in which rock music and dancing have been banned under the order of a local minister. There’s plenty of feel-good dance numbers in this, but of course what made number 7 was the dance to the film’s catchy theme tune. And it really is a toe-tapper! Despite the fact that it opened to negative reviews by critics, Flashdance became a box-office hit and is now one of the best-loved dance films ever made. And the dance scene that made this list? It has to be that iconic finale, in which Alex dances for all she is worth. What a feeling! It’s another appearance on this list for John Travolta – this time in 1978 classic Grease. There’s so many great dance scenes to choose from – but what made number four in our list was that toe-tapping classic Greased Lightning. Yet another film starring John Travolta! And it’s another iconic dance scene from the Tarantino blockbuster. Even though it’s not quite as complicated as some of the other dance scenes on this list, it’s still a favourite at weddings even now – and you can’t say it’s not memorable. You can’t have a list about the best dance scenes without Singing in the Rain – so here it is, in at number two. And the scene which everyone loves so much? Of course, it’s Gene Kelly singing – and dancing – in the rain! 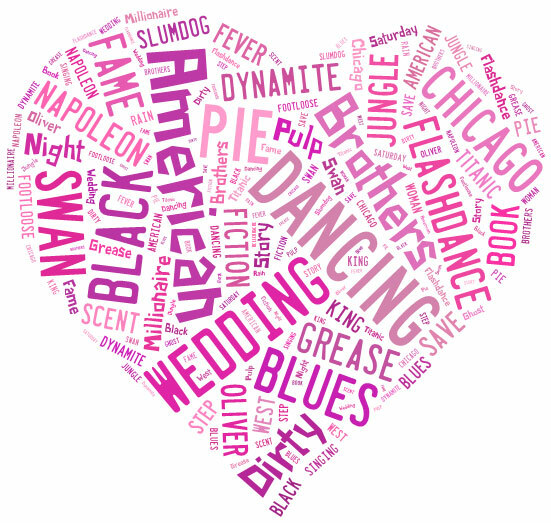 Don’t tell us you’re surprised – the most loved dance film scene comes from Patrick Swayze romance flick Dirty Dancing. The coming of age drama is one of the most loved dance films ever made – and who can’t fall in love with this final dance scene? Agree? Disagree? Let us know on our Facebook page! For this week only we are offering 15% off selected leotards! 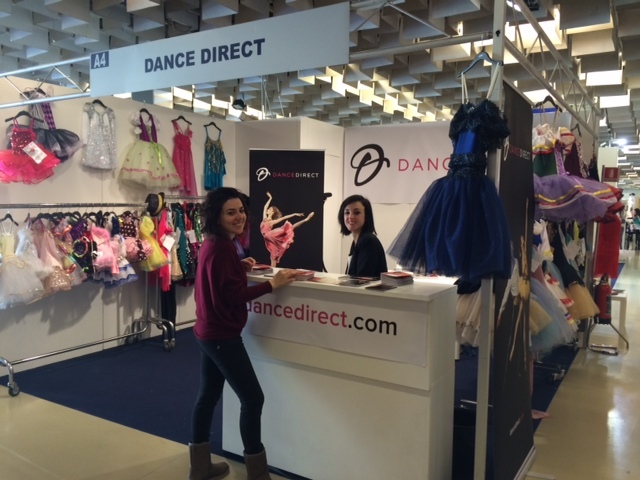 You can check out all our dancewear offers from the Dance Direct homepage! We release offers and promotions every week on selected items. All our offers are advertised from our homepage. 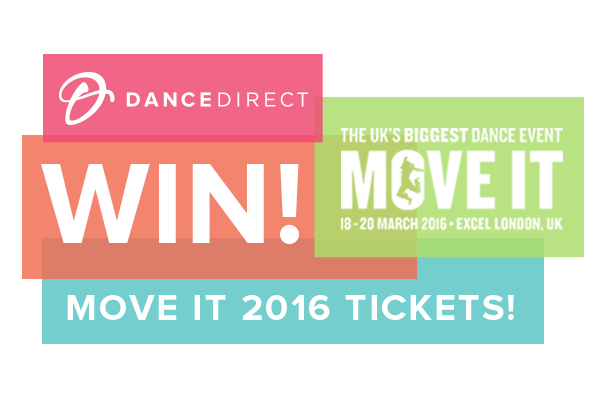 Make sure you’re not missing out on anything by paying us a visit here: Dance Direct!